BOMA is committed to upholding the highest standards of ethical nonprofit governance, transparency and accountability. A financial audit is prepared annually by an outside accounting firm. We have established clear and concise documentation of internal and external financial controls. BOMA has established the highest standards of good governance, including board-approved policies such as Code of Conduct, Anti-Corruption, Conflict of Interest, Whistleblower, Document Management and Board Governance. 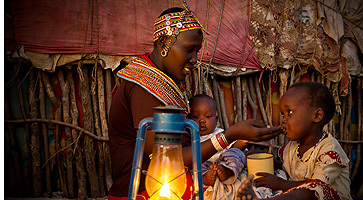 All grant funds in Kenya are distributed in a public setting in full view of community members. BOMA is a valued partner of Guidestar Exchange, a leading symbol of transparency and accountability provided by GuideStar USA, Inc., the premier source of nonprofit information. For press releases and articles about BOMA, click here.